Waipiro means “alcohol” in traditional Maori, which is one of the native tribes of New Zealand. The island culture is known for their heavy ink black tattoos and tribal masks, which are a folk art staple. The craft beer embodies Maori art and life with its unconventional label and artisanal island design. 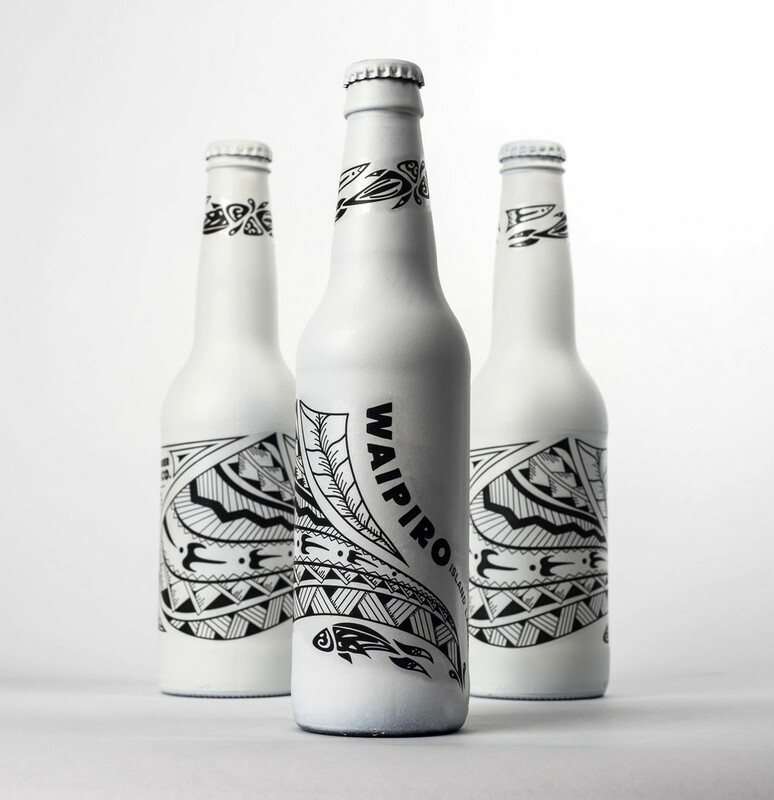 Just as the tattoos are a stark contrast on skin, so too is the label of Waipiro on a white bottle.